Locally, KLRN presents bilingual early childhood workshops, Play & Learn groups, professional development trainings, and community engagement events. Through our early childhood services, the goals are: to prepare children for success in school and in life, to improve literacy levels, to support adults as they learn about their roles as advocates, nurturers and nutritionists, and to help them strengthen their skills as educators. Activities are presented at community-based sites across San Antonio. Beginning in 2009, under the Ready to Learn (RTL) umbrella, KLRN began to curate the station’s early childhood program, Play & Learn, to reach parents and informal caregivers of children birth to age 5, through child-directed play-based experiences. Since then, Play & Learn has received generous support from the City of San Antonio, the United Way of San Antonio, the Dalkowitz Foundation and Boeing. The station has received accolades for the Play & Learn program and its impact in preparing children to be school ready. In 2016, recognizing the high performing impact of Play & Learn, the City of San Antonio invited KLRN to be part of the All-America City award application. The National Civic League recognized our commitment to collaboration and the focus on our children. San Antonio is an All-America City. 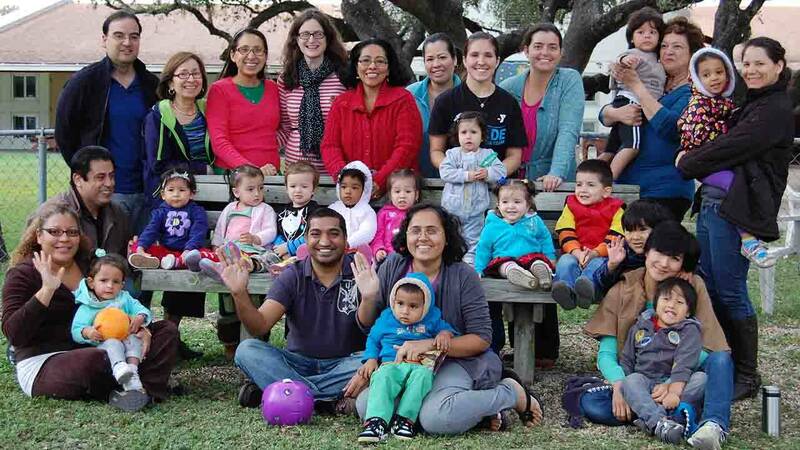 This year, KLRN has reached over 3,600 adults and children at 101 early childhood activities. Enrichment activities teach adults strategies to support children’s development and to explore the borderless classroom. When caregivers learn more about child development, they learn how to promote literacy and school readiness through every day experiences. Play & Learn is designed to promote child/caregiver interaction as adult participation is paramount to the success of the child/caregiver connection. At Play & Learn, participants work together to explore early learning experiences such as painting, building structures, potting plants, and engaging in conversation. The children learn to build healthy relationships with their peers and the adults have the opportunity to exchange ideas and anecdotes with one another too. At each session, participants receive free books, take-home activities, and materials to use in their homes. KLRN promotes family engagement presenting our early childhood activities; adults explore their roles as teachers resulting in stronger, healthier families and children. To learn more, visit klrn.org/learning/earlychildhood.